Stuart Holcombe has over twenty years of work experience in corporate real estate and is President and CEO of Corporate Real Estate Advisors (CREA), an international commercial real estate firm based in Atlanta, Georgia. Stuart’s practice is dedicated to serving and representing office, industrial and medical tenants and buyers only. Since he does not believe it is possible to negotiate from both sides of the table, he does not take listings, nor represent landlords or sellers, not now, not ever, never. Stuart understands the needs of corporate tenants, their objectives and the value of their time. He works in partnership, on his client’s behalf, without conflict of interest and with total objectivity. Stuart founded the firm in 1990 following a 10-year career as an executive with regional and international commercial real estate organizations. Mr. Holcombe specializes in representing Fortune 500 companies, professional firms, medical organizations and emerging growth organizations for the acquisition and disposition of their office space requirements. He brings more than 20 years’ experience in tenant representation. His clients include US Healthworks, Bosche Corporation, Holger Christiansen, Stibo Systems, Philip Morris, CCI Europe, Rockwell Collins, Trade Commission of Denmark, Leukemia and Lymphoma Society and CeloNova BioSciences. 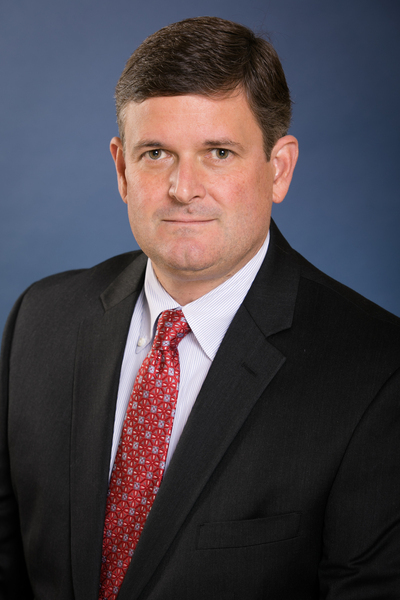 Mr. Holcombe’s previous positions included tenures as Leasing and Construction Director of Combined America Development in Dallas, Texas, where his experience included development of shopping centers, apartment complexes and office buildings. As Vice President for Portman Barry Investments in Atlanta, Georgia, his experience included representing landlords and tenants in leases, renewals and dispositions. Stuart holds a real estate broker license in Georgia and has been awarded the Certified Commercial Investment Member (CCIM) designation from the CCIM Institute in Chicago. CCIM is the recognized expert in the disciplines of commercial and investment real estate. Stuart is a graduate of LSU and majored in finance, architecture and marketing. He is also a member of the Atlanta Board of Realtors, the Commercial Association of Realtors, the Danish American Chamber of Commerce, The Buckhead Club, and is a charter member of the Atlanta-Peachtree Rotary. Mr. Holcombe has served for many years on the ITRA Global Board of Directors, in many capacities including Vice Chairman, Treasurer, and most recently as Secretary. Peter Webster has been an active member of the Atlanta Commercial Real Estate Community for over three decades. During that time, he has developed a deep and abiding knowledge of the market and has worked with clients both locally and nationally on assignments including multi-market account management, international representation, build-to-suit, and tenant advocacy. All of this experience has given Webster a unique perspective on the industry and driven the formation of a work ethic and style whose hallmarks are a dedication to the client’s goals and objectives coupled with a keen sensitivity to delivering value tied to the clients’ business strategies. Peter has been a top producer for both local and national real estate companies. Notably, nine years with CB Richard Ellis where he received the Distinguished Achievement Award for being “Rookie of the Year” and was promoted to the level of Vice President. Peter left that position to join The Staubach Company where he was responsible for managing the marketing efforts for the Atlanta region. More recently, Peter founded a successful commercial real estate brokerage, Davidson Webster Associates and Advocate Commercial Real Estate. During his career in Atlanta, Peter has been recognized six times for completing a Top Twenty-Five Office Deal of the Year by the Atlanta Business Chronicle. In addition, he has received the President’s Award and is a Phoenix Award and a Lifetime Member of the Atlanta Commercial Board of Realtors Million Dollar Club. Peter has served as a Director for the Atlanta Commercial Board of Realtors and the Chairman of the Forms Committee. He is also presently serving on the Governors Board of the Georgia Institute of Real Estate. In addition, Peter currently serves on the ITRA Global Locations Committee. Peter is a graduate of The University of Georgia’s Business School where he majored in real estate. Peter lives in Roswell, Georgia with his wife and children. He is active with the city of Roswell and has served as the President of the HOA for his community. Peter is an avid golfer, has a passion for music, and is enjoying raising his family. 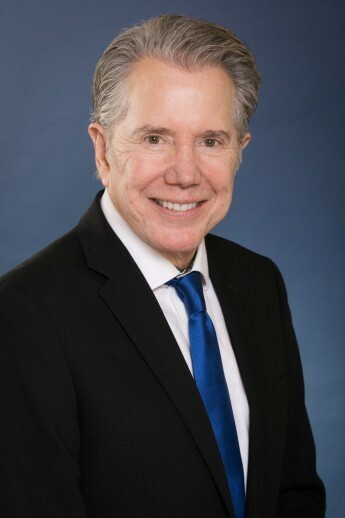 Bruce Lanehart, the Senior Vice President of Corporate Real Estate Advisors is well known in the industry and has successfully represented his clients over 30 years. Bruce specializes in Industrial Properties, Supply Chain, Automobile dealerships and Capital Markets. He applies an integrated business approach that combines Site Selection and consulting with exceptional market understanding and insight that provides a tremendous advantage for his clients to leverage their time and knowledge. This expertise provides Bruce to create and provide transformational outcomes for his clients in domestic and global markets. Mr. Lanehart’s experience provides his clients with exception knowledge in all aspects of corporate real estate including Lease Negotiation & Restructuring, Strategic Planning, Port Properties, Build to Suit and Site Selection Consulting. He has consistently delivered superior results for his clients by applying strategic supply chain understanding and aggressive, impactful real estate strategy & execution. Bruce has become recognized as an industrial property leader and a successful industrial broker, automobile dealership property agent and capital markets consultant. Prior to relocating to Atlanta, Mr. Lanehart was with the CBRE Los Angeles office concentrating in Pasadena, City of Industry and Ontario markets, where he also concluded long term ground leases in Irvine Industrial Park. Atlanta is the capital and most populous city in the state of Georgia, and the ninth largest metropolitan area in the United States. Atlanta is the primary transportation hub of the Southeastern US with Atlanta International Airport being the world's busiest airport since 1998. Atlanta has non-stop flight service to 150 US cities and 95 foreign cities in 57 countries and is within a 2 hour flight to 80% of the US population. Atlanta is considered an alpha-world city, and with a gross domestic product of US $270 billion, Atlanta’s economy ranks 15th among world cities and 6th in the nation. The Atlanta metropolitan area has the country’s third largest concentration of Fortune 500 companies and more than 75% of the Fortune 1000 companies have a presence in the Atlanta metropolitan area. The city contains the world headquarters of corporations such as Coca-Cola, Home Depot, AT&T Mobility, UPS, Delta Air Lines, and Turner Broadcasting. Atlanta has one of the largest concentrations of colleges and universities in the country. The city has more than 30 institutions of higher learning. Atlanta is marked by rolling hills and dense tree coverage and is home to the world’s largest indoor aquarium.